There’s no better way to welcome the holiday season than by attending Hawley Winterfest! Since 1999, locals and visitors have been flocking to our little Pocono Mountains town to enjoy all sorts of Christmas-themed activities. In previous years, this event has featured everything from an ice bar to snow tubing! Book your room with Ledges Hotel soon and join us for a weekend filled with holiday cheer! While you’re in town for Hawley Winterfest, take advantage of some of the other fun winter activities around town! Download our free Vacation Guide for an easy-to-read list of the best trails for cross-country skiing and snowshoeing in the area. You’ll also find our suggestions for incredible local restaurants, like our very own Glass-wine. bar. kitchen! Get great recommendations from the people who know and love this area best with our free Vacation Guide. Hawley Winterfest began in 1999 as a way for visitors and locals to get in the holiday spirit and support local businesses. This year, it will run from Friday, December 8 to Sunday, December 10. Check out some of the events planned for this year’s festival! The rules of the beer tour are simple: pick up a beer tour card from the Visitor’s Center or from any of the participating bars, complete six flights over the course of Winterfest, and you’ll receive a special commemorative pilsner glass! Our on-site restaurant Glass will be participating in the fun, as well as other local businesses like The Dock on Wallenpaupack, Cocoon Coffee House, and The Settlers Inn. The tour starts on the first day of the event, December 8. Visit the First Presbyterian Church for over 35 varieties of gourmet, homemade cookies at the 17th Annual Cookie Walk. Snag some to take with you for just $11 a pound! Make sure to reserve a table for the holiday pop-up restaurant! It will be located in Hawley Silk Mill’s renovated boiler room. You’re not going to want to miss this, available only on the first day of Winterfest, December 8. Once it’s gone, it’s gone forever! 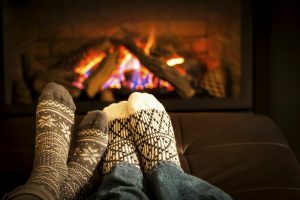 Get cozy by the lake at Silver Birches Resort! There will be s’mores, hot chocolate for kids and adults, and some great music! This event will occur from December 9 to 10. On December 8 from 8:00 to 10:00 p.m., visit the Hawley United Methodist Church for a wonderful concert by Kyler Brown and the Virgin Consort. Hear a mix of traditional carols and medieval works during this wonderful event. Tickets are $15 and are on sale at Settlers Inn. Nothing says winter like a horse and carriage ride! From noon to 4:00 p.m. on December 9, you’ll be able to enjoy a nostalgic ride. Head to Miss Elly’s Antiques & Such to climb aboard! Visit the Hawley Public Library on December 9 from 11:00 a.m. to 4:00 p.m. to get a book signed by local authors. Check out the event’s page on Facebook for a full list of the participating authors. Browse through goods from local vendors at the Holiday Artisans’ Fair. This two-day event will take place at The Hawley Silk Mill, from December 9 to 10. It’s a great opportunity to pick up a gift for a loved one or find that perfect souvenier for your home! Grab your ugliest sweater and head to The Dock on Wallenpaupack on the first day of Winterfest! There will be live music and prizes handed out for the ugliest sweaters. The party starts at 8:00 p.m. on December 8. Get a great deal on all merchandise at the shop in the garden at The Settlers Inn. You’ll also be able to enjoy complimentary cheese and mulled wine while you browse. The sale opens at 10:00 a.m. on December 9. This great concert is happening at our very own on-site restaurant, Glass! Enjoy delicious food and fun times at this great Winterfest event. Reserve your table for December 9, starting at 8:00 p.m. In the mornings during Winterfest, treat yourself to Winterfest Brunch at The Settlers Inn. A scrumptious morning will be accompanied by live harp music! There’s no better place to get brunch in Hawley. After enjoying Hawley Winterfest, spend the night at the gorgeous Ledges Hotel. Experience the natural beauty of the river gorge falls while relaxing in any of our fabulous rooms. Take a look at our contemporary room, which features a queen platform bed fitted with comfortable sheets. We have installed energy and water efficient rain showers with Green Earth bamboo towels. It’s the perfect combination of eco-initiatives and comfort.